Beloved mother of Helena, Jenna, and Elisa Shaheen. Adored daughter of Patricia (nee DeVereaux) Glatz and the late John Glatz. 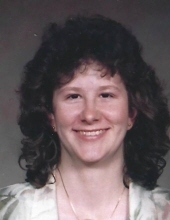 Cherished sister of Lisa Glatz and Tracy (Jeff) Ebert. Loving aunt of many nieces and nephews and Devoted friend. Funeral Wednesday 10:00 a.m. from the Robert J. Sheehy & Sons Funeral Home, 9000 W. 151st Street, Orland Park, IL, to St Michael Church, Mass 10:45 a.m. In lieu of flowers, donations to the Pancreatic Cancer Action Network or March of Dimes would be appreciated. The procession will be leaving the funeral home at 10:00 a.m. to go to the church. "Email Address" would like to share the life celebration of Kathryn E. Shaheen. Click on the "link" to go to share a favorite memory or leave a condolence message for the family.